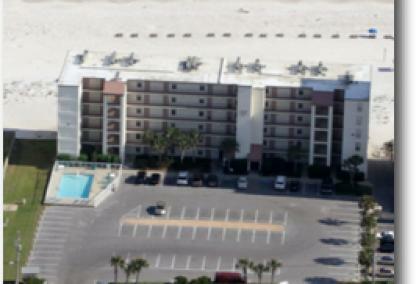 We're included investment info for every Gulf Shores condo for sale and offer exclusive aerial imagery. Investors find each condo's annual revenue along with recent sales prices, while our sellers receive top Google placement; CondoInvestment.com ranks #1 for almost all condo sales searches and no one can offer better exposure. We offer help to improve rental revenue - our clients get the most from their investments. 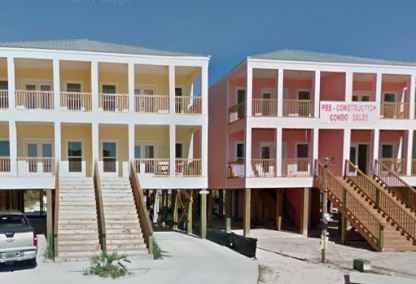 Easily compare information for every condominium in Orange Beach Alabama and Perdido Key Florida. Also, compare prices and market conditions to those in Fort Walton Beach, Destin and all the way through Panama City Beach, FL. 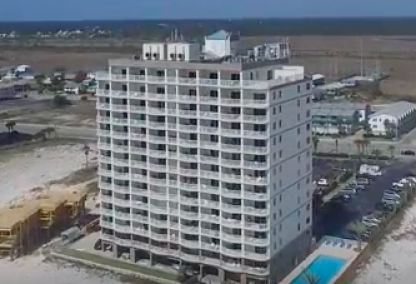 This is the East Beach area of downtown Gulf Shores with every gulf front East Beach condo is shown along with each condo's distance to the Gulf Shores Hangout or Gulf Place included. Royal Palms is 1 mile - Colonnades is .09 miles, Clearwater is .08 miles - Gulf House is .08 miles - Whaler is .07 miles - Lighthouse is .07 miles - Island Sunrise is .06 miles - Island Shores is .05 miles - Boardwalk is .05 miles - Seawind is .04 miles - San Carlos is .03 miles - Castaways is .03 miles and Regatta is .02 miles. (Not pictured is the Phoenix All Suites. 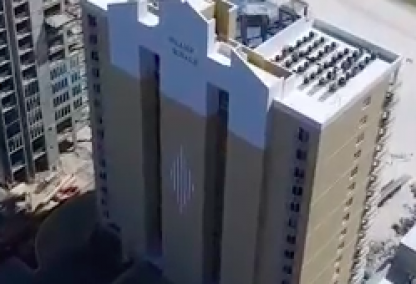 It's a condo-tel and the closest condo to Gulf Place and quite literally, next door. This is the West Beach area of downtown Gulf Shores. 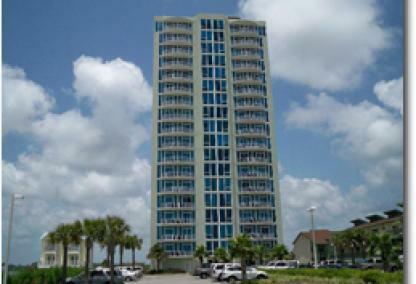 Ocean House is exactly 1 mile and Island Tower is .35 miles West of the Gulf Shores Hangout / Gulf Place. 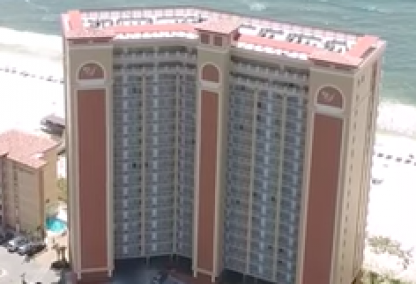 Island Winds is the closest condo to Gulf Place at .03 miles and sits directly next to Island Tower, but is not labeled in this aerial image of West Beach in Gulf Shores Alabama. 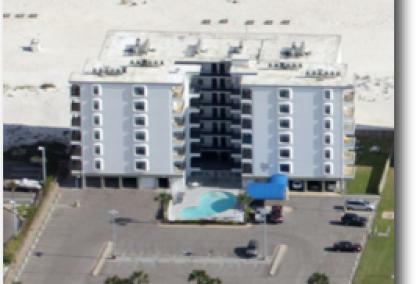 Other gulf front condos include Phoenix All-Suites West, Driftwood, Buena Vista, Gulfside Townhomes, Phoenix Gulf Shores, Island Royale, Oceania, Crystal Shores, Crystal Shores West, Westwind, and Las Palmas sits on the North side of Beach Blvd in West Beach. 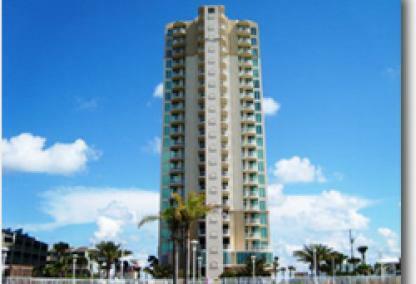 ReadBuilt in 2004, Island Tower condominiums are located on the West Beach close to the Hangout and other Gulf Shores attractions. The tower holds 65 units and offers three-bedroom plans with living space of approximately 1,600 sq. ft. These luxury condos boast upgraded finishes and floor-to-ceiling windows providing spectacular Gulf views. The property has a great amenity package featuring an indoor heated pool, outdoor zero-entry pool, hot tub, steam room, and a fitness center with beach views. 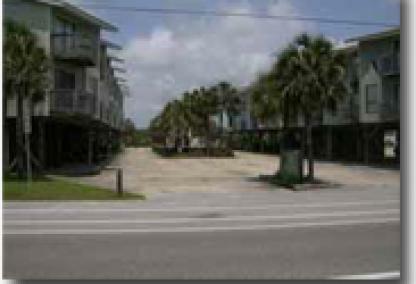 This far West Beach area has the last gulf front condos - to the West - in downtown. 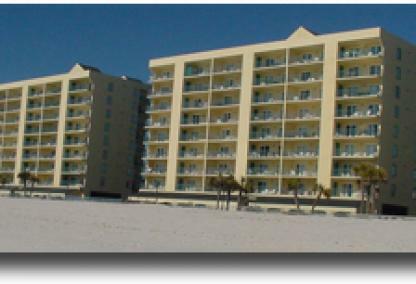 West Beach has some of Gulf Shores most popular condos for sale because their typically reasonably priced and offer great revenue opportunities. 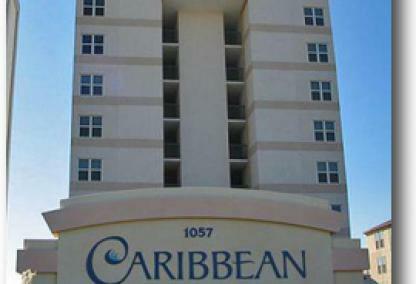 Caribbean if exactly 1.4 miles West of Gulf Place and Surfside Shores is 1.1 miles away. Sunrise Village (Not labeled) is the last gulf front condo and 1.6 miles from the Hangout - moving from the East, next to Ocean House sits , Edgewater, Tropical Winds, Edgewater West, Legacy, Gulf Village and Gulf Tower. 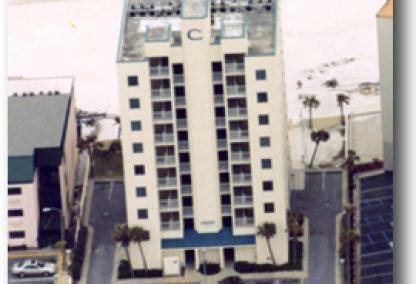 Just West of Gulf Tower, sits both Casa Del Sol and Seacrest. ReadGulf Village is located in the West Beach area and is approximately two miles from the Gulf Shores Hangout and public beaches. 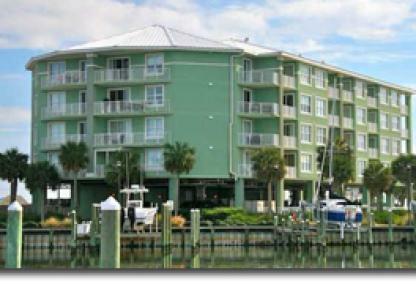 Gulf Village is located on the Gulf side of Beach Blvd but not all of the condos are direct gulf-front. Built in 1982, this condominium consists of 60 units and offers two & three bedroom floor plans from approximately 700 to 1200 square feet. Property amenities for Gulf Village include an outdoor pool, BBQ area, and a small pier on Little Lagoon across the street. 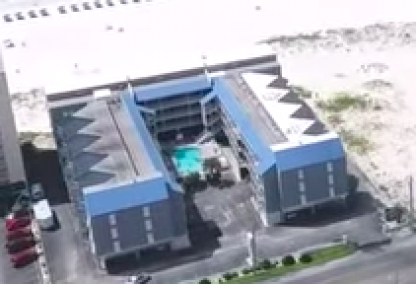 These are the condos with Beach Access in the West Beach area of downtown Gulf Shores and Mustique is exactly 3.7 miles and the Gulf Shores Surf & Racquet is 3.3 miles West of the Gulf Shores Hangout / Gulf Place. Summer House West next door. 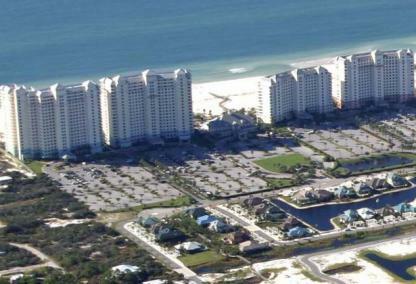 Laguna Bella, Bel Sole, The Landing and Sea Oats is pictured and the Gulf Shores Surf & Racquet is located just outside the picture next door to Sea Oats; which is a large sprawling property on Little Lagoon in West Beach. 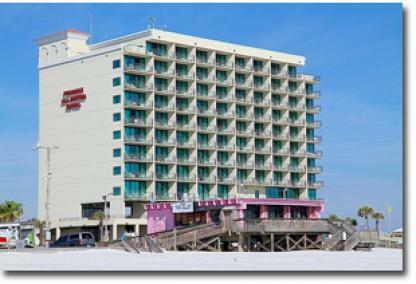 ReadBeachview condominium is located across the street from the Gulf Shores Hangout, Pink Pony Lounge, and the Gulf Shores public beach. 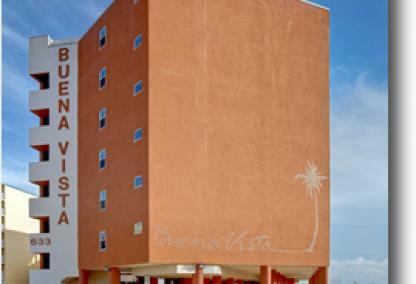 Beachview consists of 50 condos built in 1995 and most are small efficiency units. The condominium's prime location is one of it's best attributes. 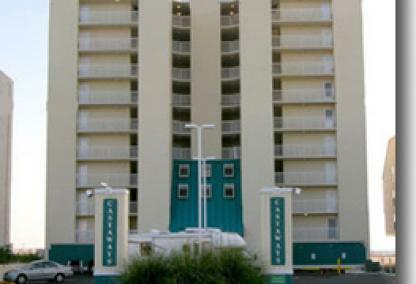 ReadBuilt in 2006, Sanibel is a 108-unit condominium in the West Beach area of Gulf Shores. The building is made up of two, three, and large four bedroom units ranging from 1,236 to 2,544 sq ft, in addition to penthouses up to 2,780 sq ft. Sanibel features an elevated outdoor heated pool, meeting rooms, exercise room, and a steam room/sauna. 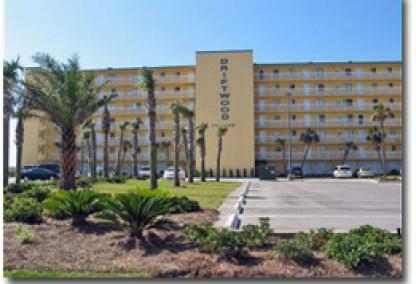 The development is approximately 2 1/2 miles from downtown Gulf Shores and The Hangout. 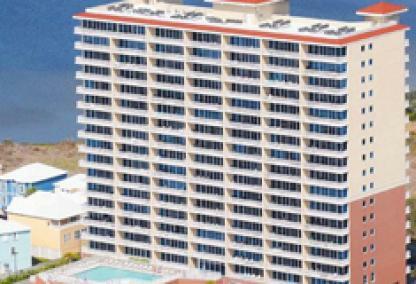 ReadSea Breeze is a 60-unit low-rise condominium located in West Beach, just minutes from downtown Gulf Shores. 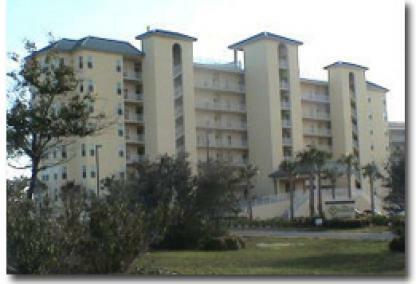 Built in 1983, Sea Breeze offers 2-bedroom/2-bath floor plans ranging from approximately 735 to 850 square feet. Property amenities include an outdoor pool, BBQ area, gazebo, and covered parking. 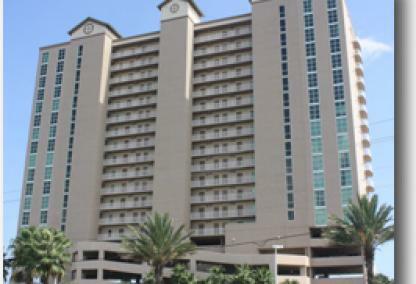 The condo is approximately one mile from the intersection of Beach Boulevard and Highway 59. 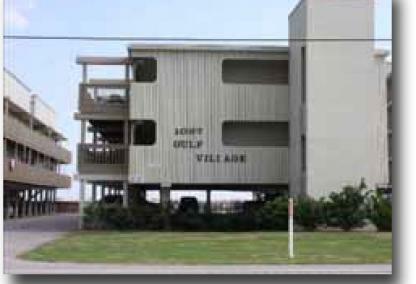 The far West Beach area of downtown Gulf Shores is listed with condos featuring gulf-access. 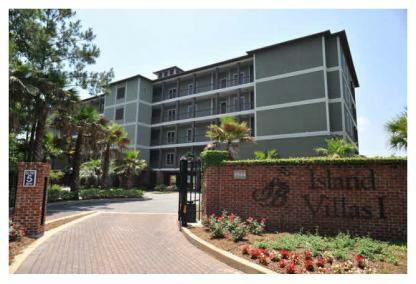 Sea & Sun, Moonraker and Sandy Shores are listed and Gulf Village features condos on the North and South side of Beach Blvd. Crystal Tower, Sea Breeze, Las Palmas, Cove and Spinnaker Pointe. All condos are listed below with average costs and square footage costs. Little Lagoon stretches 10 miles along the West Beach area of Gulf Shores providing a wonderful setting for fishing, boating, and kayaking. 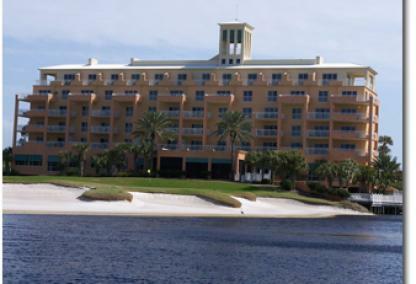 Numerous condo developments, both new and older, sit directly along the lagoon. 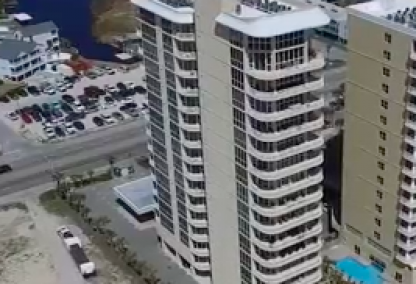 High-rise condominiums such as Lagoon Tower, Bel Sole, and Mustique offer luxurious units with breathtaking views of both Little Lagoon and the Gulf of Mexico. 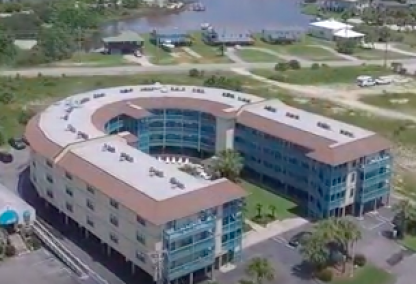 Popular and family-friendly condominiums Sea Oats, Lagoon Run, and Gulf Shores Surf & Racquet Club offer a wide assortment of amenities such as private fishing piers and boating facilities. 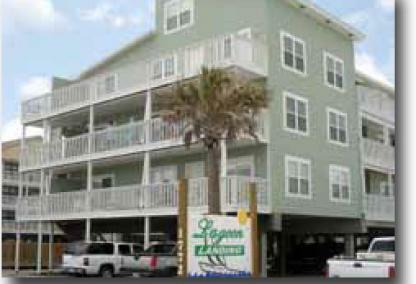 Other lagoon-front condos in Gulf Shores include Compass Point, Heron Landing, Lagoon Landing, Summer House West, The Cove, and The Landing. Gulf Shores has 5 golf courses. Kiva Dunes and Peninsula Golf & Racquet Club are both on the Fort Morgan peninsula; 11 and 7 miles from the Gulf Shores Hangout - respectively. 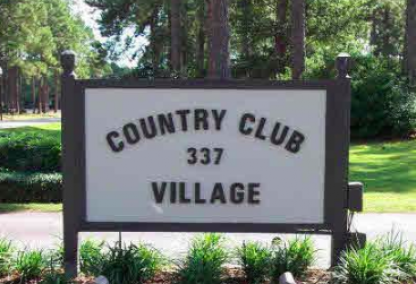 The Gulf Shores Golf Club is centrally located while both Craft Farms and Emerald Greens Golf Course (9 hole track) off Hwy 59 in Northern Gulf Shores. Visit our sales pages for current listings, interactive maps, aerial imagery and more. ReadCotton Creek Estates belong to a beautiful neighborhood just across the street from the Emerald Greens Golf Course. Built in 1998, these town homes-style condos form an oval with a long walkway around the perimeter. The complex features a club house with an outdoor community pool, fitness center, grilling & picnic area, and well-lit sidewalks. Cotton Creek Estates provides quick access to Hwy 59 and is 10 minutes north of The Gulf Shores Hangout and public beach. 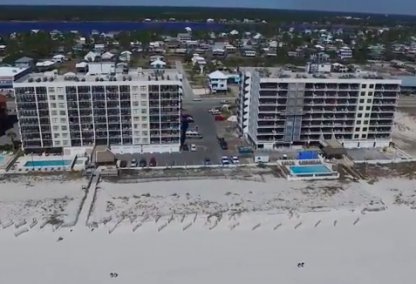 Fort Morgan has been in several news stories as having some of the most popular condos for sale in Gulf Shores because of its quiet nature. 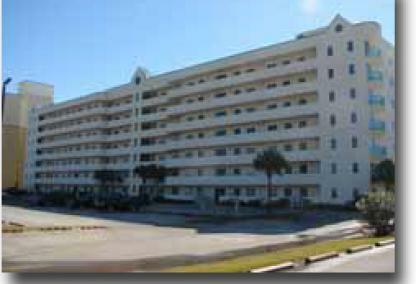 The historic site of Fort Morgan is located approximately 20 miles down Fort Morgan Road on the western tip of Gulf Shores. The Fort Morgan peninsula is home to Bon Secour National Wildlife Refuge, several championship golf courses, marinas, and restaurants such as Tacky Jacks and Coast Restaurant at The Beach Club. 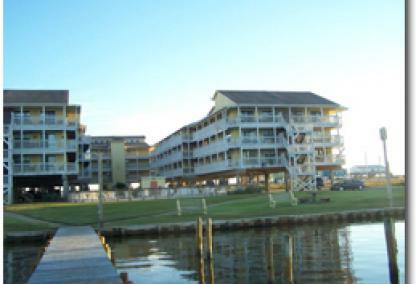 The only Gulf Shores condominium with direct waterfront on Mobile Bay is Navy Cove Harbor which offers boating facilities such as deeded slips, boat trailer parking, and a private launch for owners and guests. 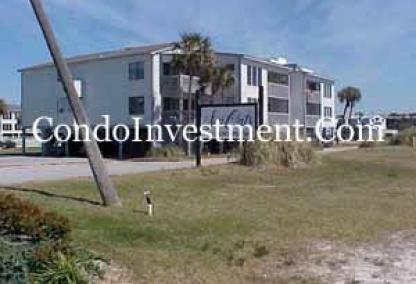 Condos located on the beach side include Fort Morgan Townhomes, Plantation Palms, Resort Conference Center, Royal Gulf Beach & Racquet Club, The Dunes, and The Indies. 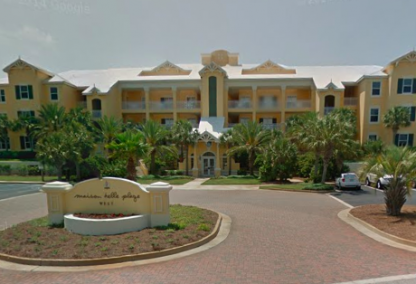 Find more Gulf Shores condos for sale or Orange Beach condos for sale by visiting our sales page for current listings and search by price, waterfront type, number of bedrooms, or by square footage. 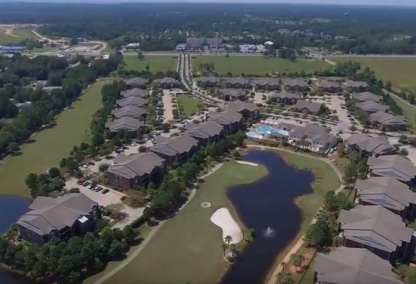 These condos are scattered throughout Gulf Shores and each sales page offers current listings, aerial images and videos, interactive maps along with amenity and other pertinent details. Enclave at Oak Hill sits near the intersection of State Hwy 180 (Fort Morgan Rd.) and Hwy 59; the main artery for traffic in to Gulf Shores. The Enclave's best feature is the location. Everything Gulf Shores has to offer, except for the actual Fort Morgan, can be reached in under 10 minutes. Visit our sales page for more info. 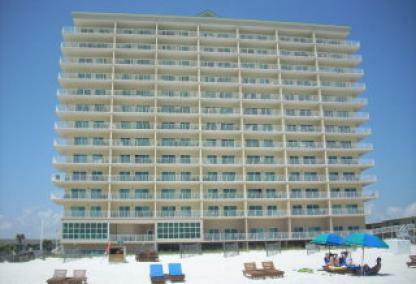 Wedgewood Villas are in Central Gulf Shores. 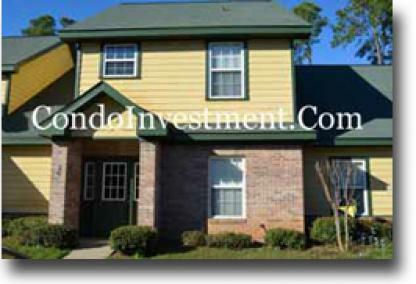 These condos are close to the Gulf Shores Golf Club and several other area golf courses. The Gulf Shores Hangout and public beach access is just a few minutes away, as is the Gulf State Park. ReadThe Enclave at Oak Hill are just north of Little Lagoon and about a seven-minute drive from the public beach in Gulf Shores. The complex offers one, two, and three bedroom floor plans with living area ranging from 700 to just over 1300 square feet. This upscale community features a clubhouse, fitness center, outdoor pool, hot tub, and sundeck beautifully landscaped with palm trees. This search pulls listings with all condo types. 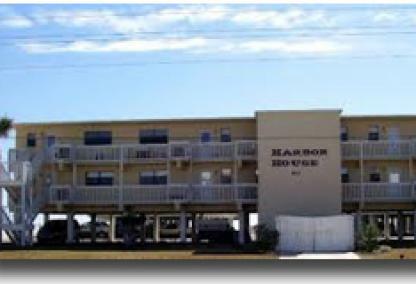 When visiting pages on this site, like Gulf Shores Lagoon Front, the price search will only pull "Lagoon Front" and will exclude condos with different waterfront. 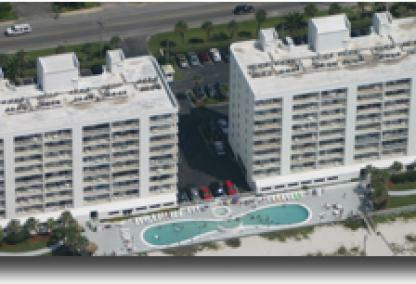 Our revenue page displays annual revenues for most condos in Gulf Shores, AL. (We've also included these numbers on each of our condominium's sales pages.) 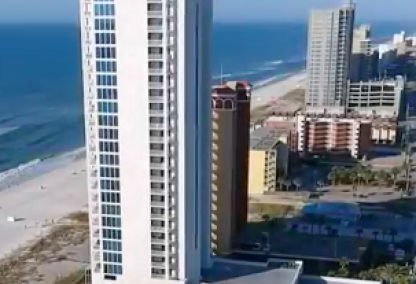 Along with revenue details, an example cash flow statement gives users an idea of the types of costs involved with owning a condo in Gulf Shores. The revenue is a very important aspect of ownership for most and we help our clients make sure their investment is working for them when they're not enjoying it themselves. 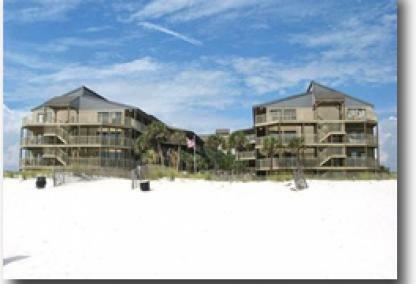 VRBO has gotten so big that most condos in Gulf Shores are listed on VRBO putting owner's in an unfavorable position. 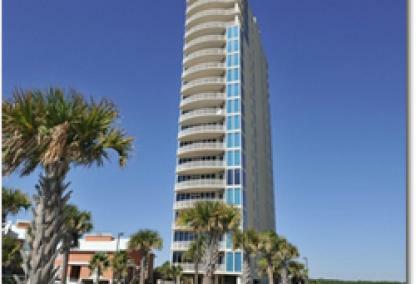 If you're considering buying a condo in Gulf Shores, read this important information concerning revenue performance. 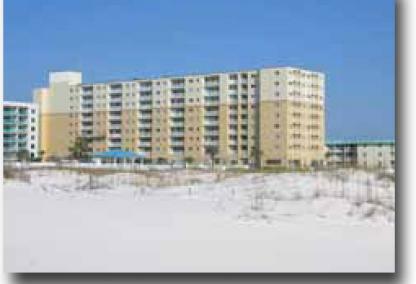 Annual condo rental income varies greatly depending on numerous factors including: location, amenities, size, water access, views and rent restrictions, like with some of the Gulf Shores luxury condos. The Alabama Gulf Coast has grown tremendously over the past decade and condo vacancy rates are commonly in the teens. A great way to make sure these vacancy rates stay low is great online exposure and an easy portal allowing guests to book with complete comfort. Promoting your investment on multiple websites is great and something we offer all of our clients. We use a large network of condo websites to direct rental traffic to our client's landing pages, like VRBO. This really helps, especially in the off-season, to supplement annual revenue. 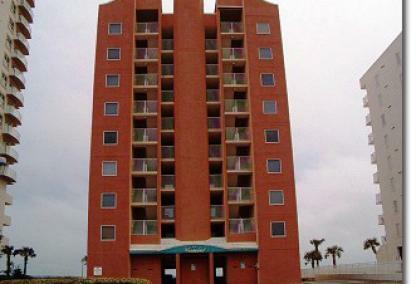 For additional details, check out this Lighthouse 2BR example. 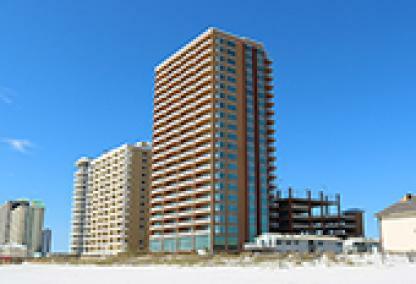 The best investment condos in Gulf Shores can easily create a cash-flow opportunity. The price and rental revenue will dictate this, but a good marketing strategy can really help. 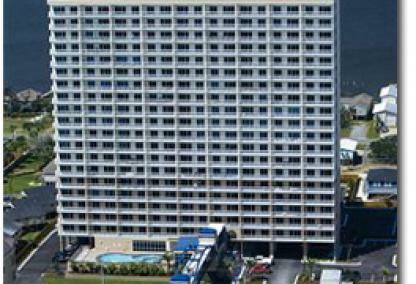 Some of the better rental condos in Gulf Shores that should allow for possible cash-flow are listed on our best Gulf Shores Investment condos and include the Lighthouse, Island Tower, Crystal Shores, Island Royale, Crystal Shores West and Seawind. All of these condos are direct gulf-front, but offer amenities, like indoor pools that offer off-season guests the option to swim in the colder months. 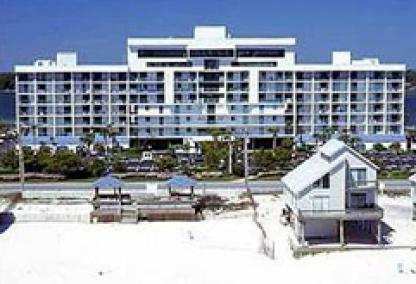 To search for Gulf Shores condos for sale using the number of bedroom, try our quick search: 1BR Gulf Shores condos for sale - 2BR Gulf Shores condos for sale - 3BR Gulf Shores condos for sale and 4BR Gulf Shores condos for sale. 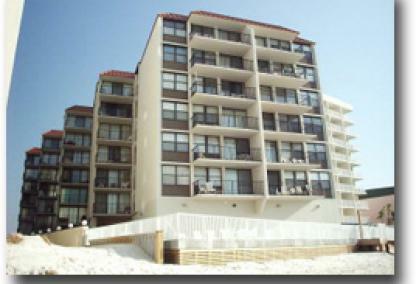 Click here to view which company manages a specific Gulf Shores condo. When deciding on your investment condo keep in mind of various factors that can influence potential earnings such as rental revenue history, vacancy rates, location, amenity package, beach access, and views. Location should be largely considered as direct beachfront condominiums with unobstructed gulf views tend to rent better and produce higher rental income than ones across the street. Developments close to downtown Gulf Shores's attractions such as The Hangout and Gulf Place are popular with vacationers who enjoy the convenience of walking to their favorite restaurants or to popular events & festivals such as The Shrimp Festival or Hangout Music Fest. Families love a wide assortment of amenities especially on rainy days where they can take advantage of indoor pools, game rooms, or a nice fitness center with steam rooms or saunas. These factors constitute the makings of a profitable rental offering vacationers an enjoyable and memorable beach getaway with the hopes of repeat bookings year after year. 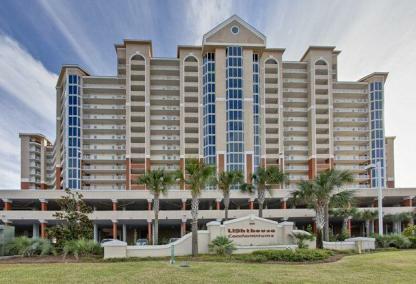 Just a half-mile east of the "T", a local moniker for the intersection of Hwy 59 & Beach Blvd, is popular family-friendly condominium, the Lighthouse. The units at Lighthouse have consistently proven successful in revenue numbers with year-round booking and is a favorite among snowbirds. These well-appointed condos boast exceptional views with miles of white sandy beaches stretching from the east and west. The 3-bedroom corner units are quite impressive featuring elongated wraparound balconies, commodious living spaces, and rent extremely well with a number of units grossing over $80K in yearly rental income. Royal Palms is a few condos down from Lighthouse and offers a well-rounded amenity package with indoor & outdoor pools, hot tubs, fitness room, steam room & sauna. 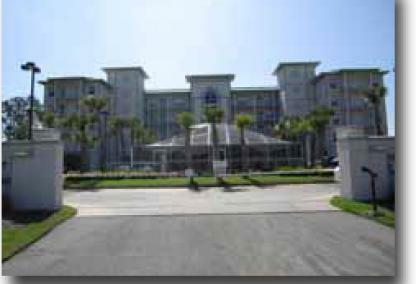 The complex is set in an ideal location walking distance to downtown attractions and restaurants and sits adjacent to the Gulf State Park and fishing pier. Royal Palm units are available in one- or two-bedroom layouts and offer built-in hallway bunks for additional sleeping arrangements. 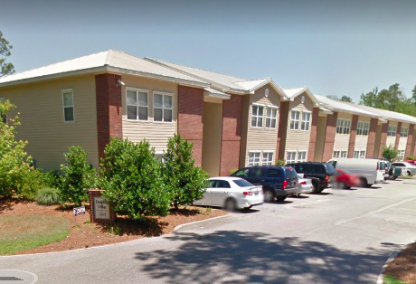 In the West Beach area of Gulf Shores, Crystal Shores and next door sister development, Crystal Shores West, are top contenders for rental earnings and well-known for low vacancy rates. Both complexes are family-oriented with great resort amenities including indoor & outdoor pools, hot tubs, modern fitness centers, saunas, game rooms with foosball and pool tables, and BBQ grilling areas for evening cookouts. Popular beachfront restaurant Bahama Bob's and Pier 33 convenience store are both a short walk from either development. 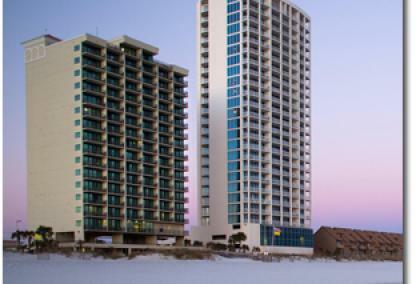 Learn more about condo ownership costs and rental revenues or search for additional gulf front condos in Gulf Shores or, if you are open to condos in surrounding areas, visit our Orange Beach Condos for Sale or Perdido Key Condos pages. 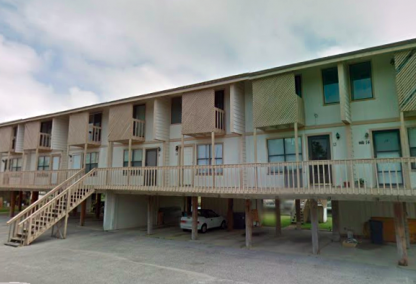 ReadBuilt in 2015, Beach Life is an 8 unit, 4 duplex development just one block north of the Gulf Shores Public Beach. 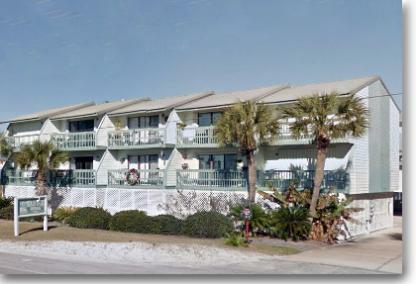 Beach Life is comprised of 3 bedroom two-story units with parking underneath. Each unit will offer 1,552(+/-) square feet of space with beautiful covered balconies on the north and south sides of the condo. This upscale community features a large pool with cabanas around in in the center of the property as well as a volleyball area and fire pit. 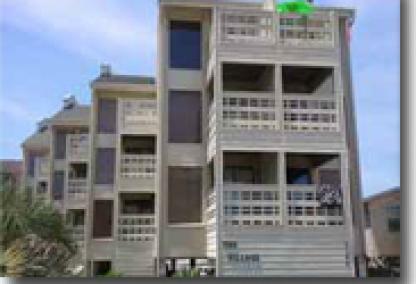 ReadBeachwalk is a low-density condominium located in the East Beach area of Gulf Shores just a mile from Gulf Place, downtown shopping and restaurants. Units are available in 2BR/2BA layouts with 1,088 square feet of living area. Amenities include a community pool, gazebo, picnic area, and covered parking. 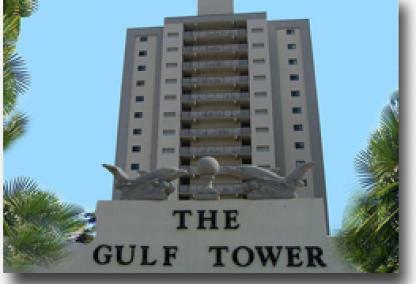 Beaches are located directly across the street and the Gulf State Park & fishing pier is less than a mile to the east. 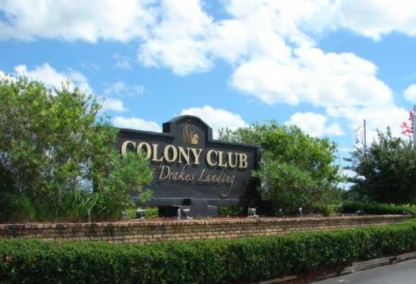 ReadBuilt in 1996, Colony Club is a condominium less than one mile away from the Craft Farms Golf Club and is five miles from the Gulf Shores public beach access. The Colony Club floor plans are for one-, two-, and three-bedroom units with 780 to 1,280 square feet of living space. Units have private balconies, fireplaces and are wired for security systems. Amenities offered by Colony Club include an outdoor pool, clubhouse, fitness center, lighted tennis courts & a community green area with a pond. ReadBuilt in 2017, Phase 4 is the newest addition to the Cotton Creek Estates community. These townhome-style condos are comprised of 2 bedroom/2 bath floor plans and offer modern finishes. The community sits just one mile east of Hwy 59 and is minutes from Gulf Shores schools, restaurants, and shopping centers. Public beaches are approximately a 10 minute drive from the development. 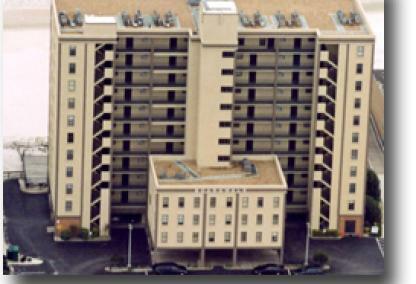 ReadCountry Club Village is a low-density complex comprised of just 24 two-bedroom units. The development is located just off Hwy 59 and is across the street from the Bodenhamer Recreation Center and near schools, parks, shopping, and restaurants. Country Club Village offers an outdoor swimming pool and nicely landscaped grounds. 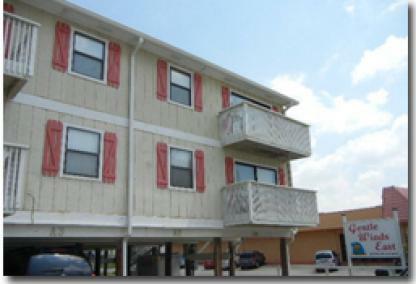 ReadBuilt in 2007, Dolphin Villas is a 108-unit residential development close to Hwy 59 in Gulf Shores. 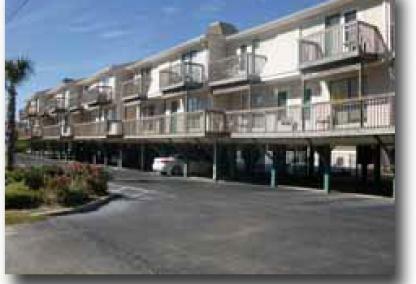 All condos are 2 bedroom/2 bath floor plans with private balconies. 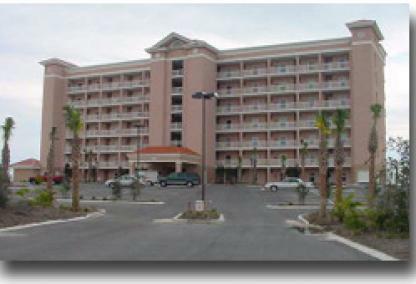 The complex is approximately 1.5 miles north of Gulf Shores public beaches and entertainment venues such as The Hangout. 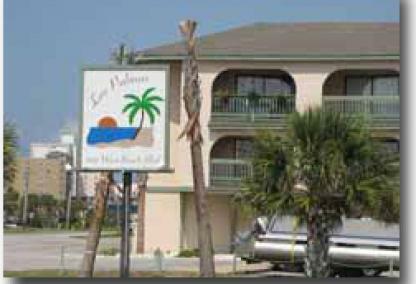 Dolphin Villas are popular for long or short-term rentals or as a primary residence close to shopping centers and restaurants. 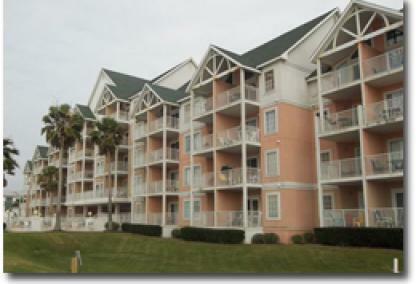 ReadRegency condominiums are located west of Hwy 59 and back up to the Gulf Shores Golf Club. Each unit at Regency has covered parking and an outdoor storage area. The outdoor pool is surrounded by a sundeck and reclining sun chairs. 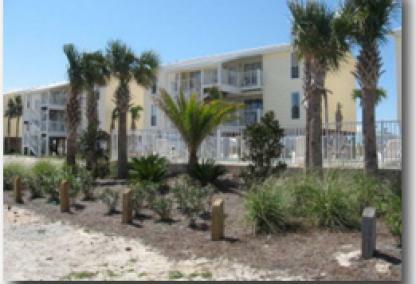 The Gulf Shores Hangout and public beach access are both less than ten minutes away. 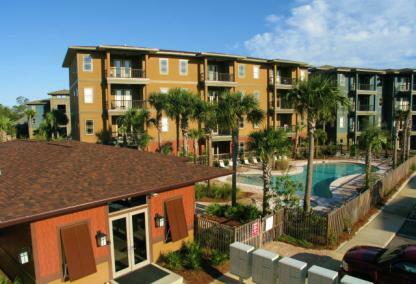 Regency is just minutes from Gulf Shores schools, restaurants, and entertainment venues. ReadSand Dollar is located in the heart of Gulf Shores, just east of the Highway 59 and Perdido Beach Boulevard intersection. 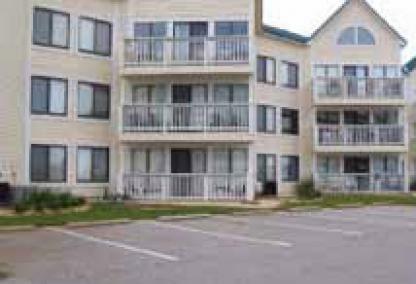 Built in 1981, Sand Dollar consists of 31 condo units and all are two-bedroom plans with approximately 900 square feet of living area. Property amenities include an outdoor pool and BBQ area. 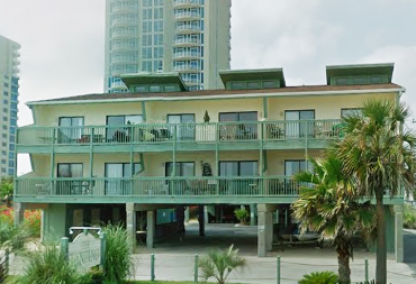 In a prime location, these condos are walking distance to many Gulf Shores attractions, including the Gulf Shores Hangout and public beaches. 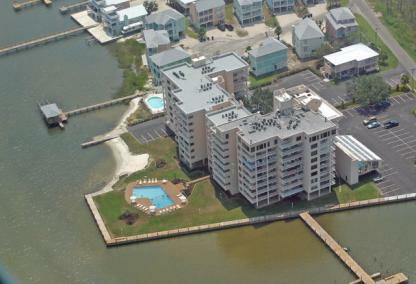 ReadBuilt in 1983, Sea Horse is a low-density condominium located close to downtown Gulf Shores on West Beach. Condos are available in 2BR/1BA or 2BR/1.5BA layouts and range from 700 to 850 square feet. 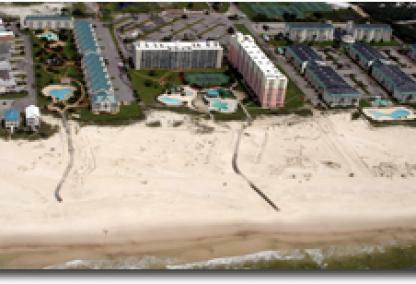 The complex offers deeded beach access across the street, community pool, BBQ grills & picnic area. These units make great rentals and are minutes from downtown attractions, restaurants, and entertainment. 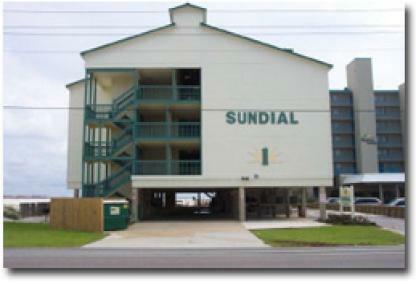 ReadSunset Bay at Bon Secour IV I is a hidden residential getaway just off County Rd 4 in Gulf Shores. Nestled along the Intracoastal Waterway in the Plash Island area, these condos offer amazing views of undisturbed forests and marshes of the Bon Secour Wildlife Refuge. Units are elegantly furnished with high-end appliances, tall ceilings, granite counters, and a gas fireplace. The gated and pet-friendly community offers an outdoor pool, covered parking, and ground-level storage spaces. 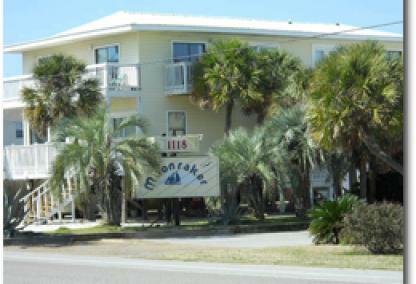 ReadThe Indies condos are located at the end of Fort Morgan Road about 22 miles from downtown Gulf Shores. This condominium is ideal for those who enjoy a more secluded getaway. Built in 2005, The Indies is comprised of 68 individual condos and offer 1, 2, and 3 bedroom units ranging in size from 800 to approx. 1,500 sf. Property amenities include a rooftop deck, outdoor pool, hot tub, and exercise room. 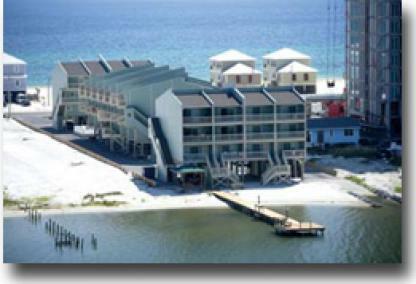 The Indies is right across the Street from the Gulf Shores Marina and Tacky Jacks restaurant. 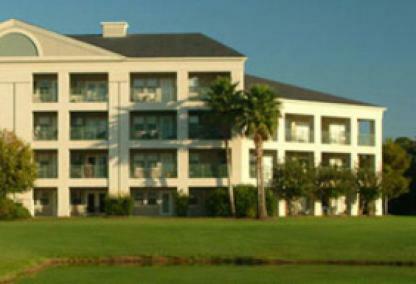 ReadThe Ridge is located just east of the Gulf Shores Golf Club and north of Little Lagoon. These beautiful condos are tucked-away in a scenic area of Fort Morgan Road. The complex is surrounded by trees, giving owners a greater sense of privacy. There is an outdoor pool and sundeck at The Ridge where residents can take a swim when they're not down at the Gulf of Mexico, which is just five minutes away by car. 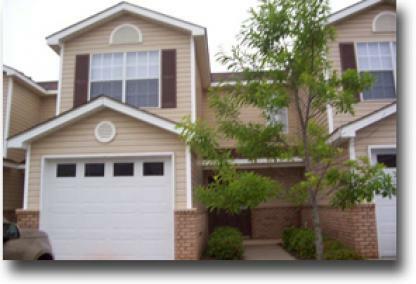 The Ridge is close to many restaurants, shopping centers, and other attractions. 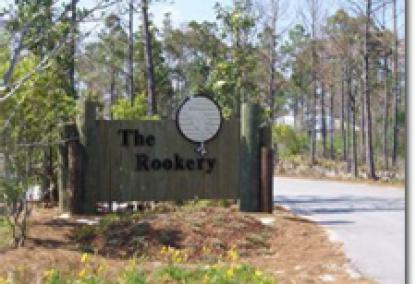 ReadDeveloped in 2005, The Rookery is a quiet residential community located approximately 14 miles down Fort Morgan Rd. These cottage style homes are 3 bedroom/2 bath floor plans averaging 1,135 square feet in living area. The complex features several outdoor pools and a tennis court. The Rookery is near several golf courses, restaurants, and nature reserves. Residences are great for full-time homes or rental properties. 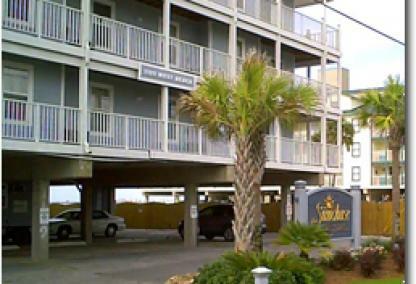 ReadThe Sands is a low-density complex located in the West Beach area of Gulf Shores. Built in 1980, The Sands is comprised of only 16 individual condos with all of them three-bedroom/two-bathroom floor plans. 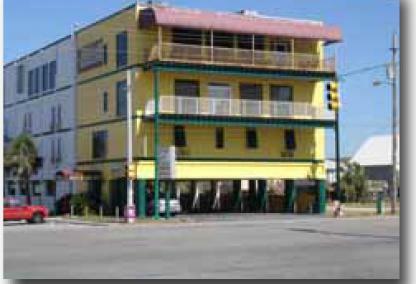 The complex offers Gulf views and is located directly across the street from a public beach access (complete with restrooms & showers). Amenities include an outdoor pool, BBQ area, and is pet-friendly. The Sands is a short walk to a number of restaurants and entertainment. ReadBuilt in 1985, The Village is located in the West Beach area just across the street from the beach. Holding just 15 one- and two-bedroom units, these condos offer cozy interiors with balconies off the living rooms. Property amenities include an outdoor pool, covered parking, and BBQ area. The Village is a budget-friendly beach retreat and make great residences or rental properties. 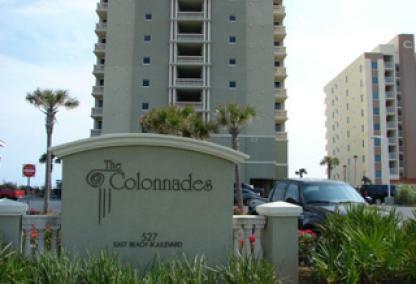 ReadVenetian Isle sits in a desirable location right in the heart of Gulf Shores and public beaches. 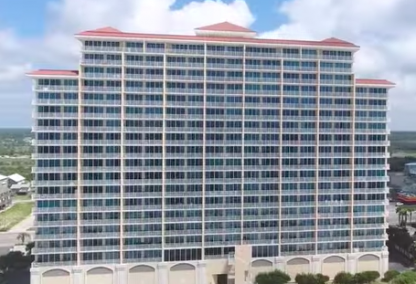 Built in 1981, the condominium is next door to Papa Rocco's and walking distance to all the events and festivals held in downtown Gulf Shores. 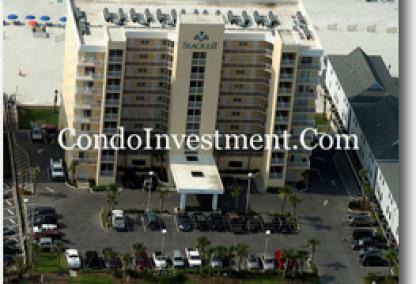 These condos make a great second home or a terrific investment opportunity. 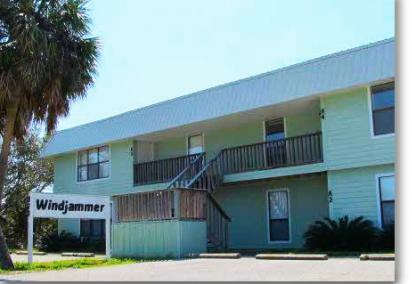 ReadBuilt in 1980, Windjammer is a low-density condominium located in the West Beach area of Gulf Shores. These condos are 2-bedroom/2-bathroom floor plans averaging 900 - 1,000 square feet. Walk to the beach just a block away or relax at the community pool. Select units are provided with assigned storage rooms. 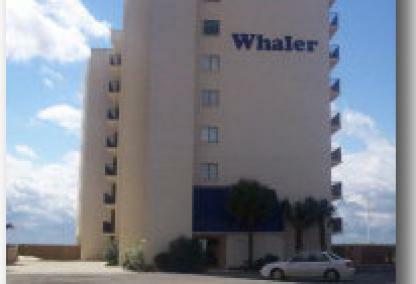 Windjammer is approximately 1 mile west of Gulf Place and The Hangout. Gulf Shores, AL is well-known for its beaches. The soft, sugary-white sand creates a beautiful, stark contrast with the emerald-green waters of the Gulf of Mexico. It's a beautiful place to see. One of the most overlooked aspects of Gulf Shores is convenience. Gulf Shores continues to grow alongside its surrounding areas to create a drive-to vacation destination; no need to book flights months in advance. Last minute weekend trips yield championship golf courses, scuba diving, fresh seafood, deep-sea fishing, unique outlets, shopping malls and boutiques, state park, wildlife refuges, miles of bike paths with gorgeous scenery and annual events, like the Shrimp Festival & Hangout Music Festival. All of these things are in Gulf Shores! Factor in Orange Beach and its Wharf & Amphitheater with OWA, Foley's new $500M amusement park for South Alabama, along with being Florida's neighbor and convenience is the common denominator. Perdido Key, Pensacola Beach and Destin all feature similar entertainment options and we've included info for these beach front communities also. It's easy to see why convenience is one of Gulf Shores' greatest virtues.